Item # 311354 Stash Points: 5,995 (?) This is the number of points you get in The Zumiez Stash for purchasing this item. Stash points are redeemable for exclusive rewards only available to Zumiez Stash members. To redeem your points check out the rewards catalog on thestash.zumiez.com. Etnies' best-selling silhouette is back in an all new black, white and gold colorway. The Jameson 2 Eco Black, White and Gold Skate Shoes from Etnies feature a two-toned black and black denim upper with gold metal eyelets. 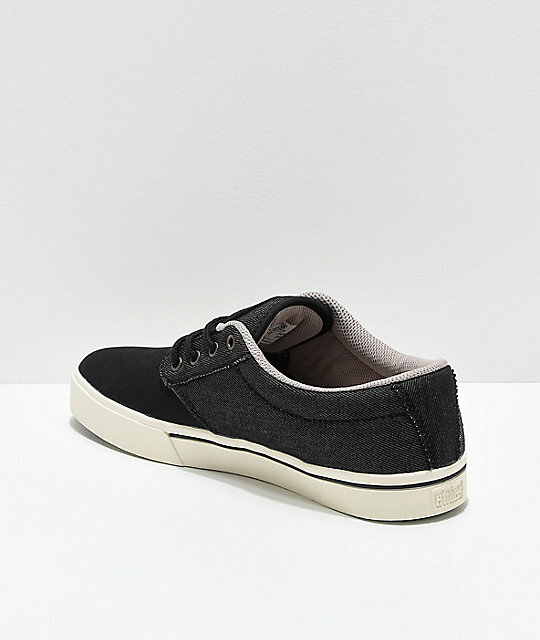 Premium comfort is brought to you by the a faux-vulc cup sole construction, and STI Foam Lite 1 insole. Made from recycled plastic and rubber, the Jameson 2 Ecos are part of Etnies' Buy a Shoe, Plant a Tree program, offering proceeds that go towards reforestation with over one million trees already planted across three continents. 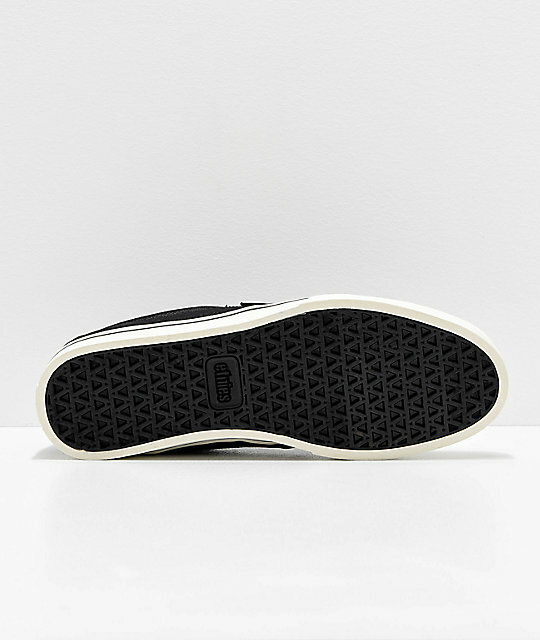 Help the planet and skate in true Etnies style with the Jameson 2 Eco Black, White and Gold Skate Shoes from Etnies. 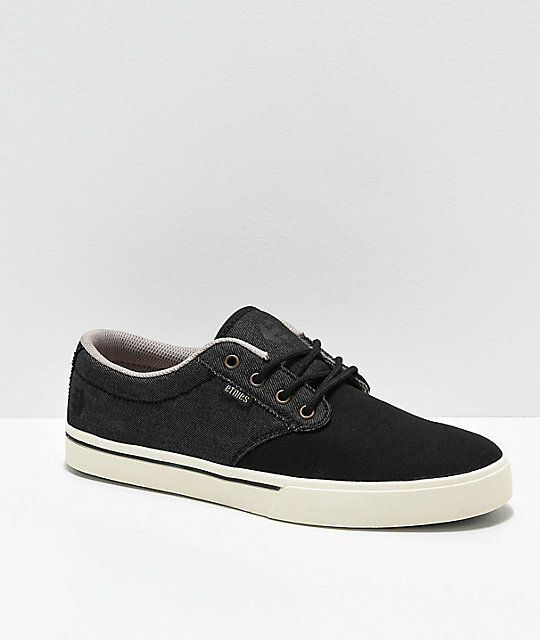 Jameson 2 Eco Black, White & Gold Skate Shoes from Etnies. 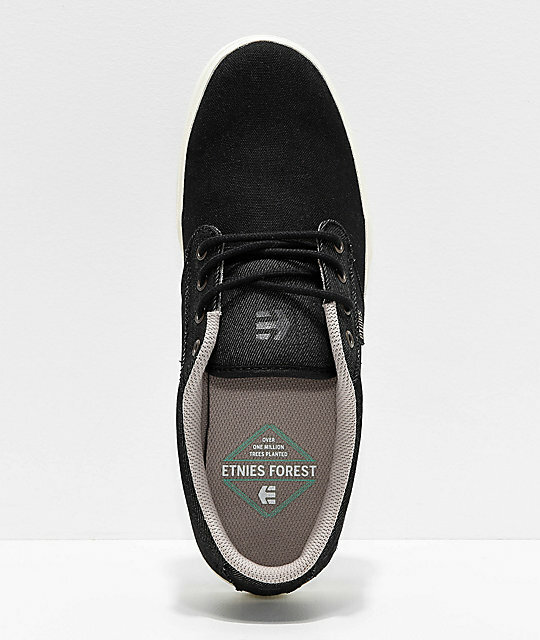 Part of the Etnies Buy a Shoe Plant a Tree reforestation program. Soft textile lined interior with plaid print pattern.